Finding fair trade clothing retailers PERIOD is hard enough to begin with, but when you’re on the hunt for a specific, specialty item, I’m learning that you’ve really got your work cut out for you. When hubs recently commented on how he needed some new suits for work, I quickly jumped on the opportunity to browse fair trade men’s suits online (I knew the chance of finding a local store was 0%). However, there was nothing to browse. I found zero (ZERO!!) 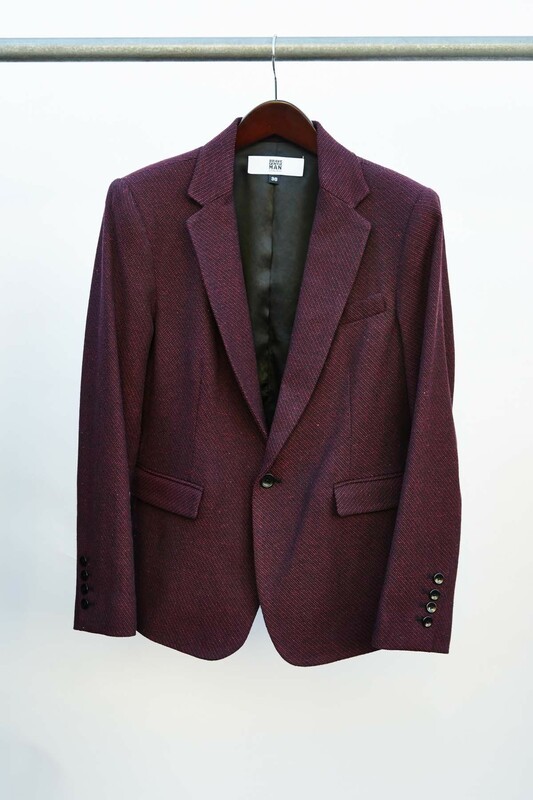 suits online that were fair trade certified. I’m trying to give the universe the benefit of the doubt by assuming there’s got to be at least one fair trade suit out there on the market, but it’s just buried on a website whose developer doesn’t do good SEO. What gives, clothing industry? Or maybe I should say, what gives, American businessmen? Is there really so little demand for fair trade suits that companies see no point in making them? So, what’s a socially conscious man to do? Despite the dearth of fair trade options, I did find some ethically-made suits. Brave GentleMan offers a number of “fair labor” and vegan suit pants and blazers made from eco-friendly fabrics. Honestly, the clothing sounds more or less fair trade, it just isn’t certified. 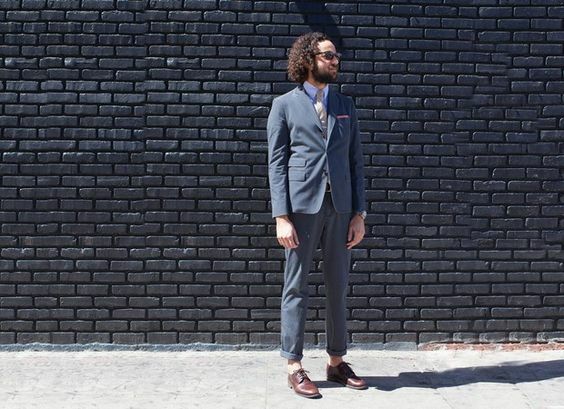 Apolis, a Certified B Corporation (meaning they’ve been graded and received a “passing” score for social and environmental performance, accountability, and transparency), offers one full suit for sale. And, when you buy the jacket and pants together, you get 15% off, which is nice! Another brand that I’m pretty excited about is Hardwick. Most of their suits are made in the USA with fabrics that are made in the USA (per my chat with Hardwick employee Andrew Welsh, fabrics made elsewhere are noted in the clothing item descriptions). Because the U.S. has minimum wage laws, this (hopefully) means the suits are essentially fair trade, though I did not ask about sourcing for things like the zippers and buttons. For those interested in environmental sustainability, check out Rawganique. They offer chemical-free and sweatshop-free hemp jackets and slacks in addition to organic cotton dress shirts. Pretty please y’all, if you find suits to add to this list, comment or contact me! I get over-the-moon excited when I learn about new ethical clothing brands!